Manchester United won against Everton today. Romelu Lukaku didn’t start the game. And yet, at the end of the match many fans are focusing on quite how bad the Belgian was when he came on as a substitute. 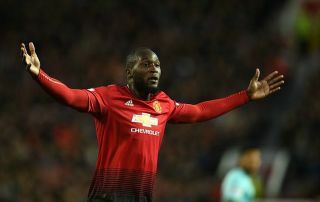 The Red Devils held on for a 2-1 win at Old Trafford this afternoon thanks to goals from Paul Pogba and Anthony Martial, but Lukaku still managed to sour the mood when he came on in the 65th minute. The 25-year-old showed some bad touches and generally looked sluggish, off the pace and unconfident again in his relatively short time on the pitch. After what is now a run of nine games without a goal for United in all competitions, it’s little surprise some fans seem to think he’s genuinely finished.